John Linnell & John Flansburgh are more than just "Particle Man" & "Istanbul", my friends. The band has their hand in every media, with MP3 albums, scoring music for movies, TV, and network specials. They regularly perform at the Bowery Ballroom in NYC, and I have a pictography of it here. I have been to every Bowery show since October of 99, in which they did 4 different shows in 4 nights. Their most recent stand was a 5 Thursday stint in November of 2000, featuring a lot of new material from the new MP3 EP at Emusic.com, the new children's record, and the new regular studio record. This site has has chord sheets, lyrics, and so much more! This site is for die-hards only! 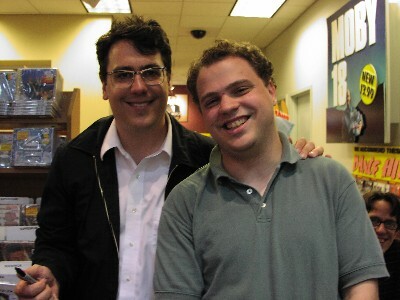 This site has a HUGE MP3 archive of live performances by TMBG, as well as many photos of recent shows, including nearly all the shows I've been to! Also contains sister sites for Mono Puff, Brian Dewan, Pharaoh Sanders, You Were Spiraling, and Garbage. If you are looking for rare live TMBG songs, this is the place to go. The Official TMBG Chat room! My TMBG Bowery Ballroom page. This is my own TMBG info and concert report page. The bad boys in plaid are on the web! They are one of my catalysts for being involved with live music now. I actually got to play a show with these guys in Jersey on Decemeber 1st, 2000. A lot of my friends were there, and it was an experience I will never forget. This band from Boston's Berkeley School of Music are the most talented musicians in the rock scene. See them once, and your jaw will drop to the floor. Their new album, Scene From A Memory, is one of the most amazing albums I have ever heard. A rock opera of epic proportions, an entire story loosely influenced by the great film "Dead Again" smacked into one 77-minute CD. I HIGHLY recommend you pick it up. They didn't play the Birch Hill, but I saw them in Philly for one of the most amazing shows I have ever seen, as they performed their new album in its entirety from start to finish. I'll be seeing them again on August 30th at the Roseland Ballroom in NYC, where they will play Scenes From A Memory in its entirety for the last time in a while. The special show will feature two full sets and will be recorded for a CD/DVD release! I already have the DVD, and the CD will be out at the same time as the new TMBG album, September 11th. A Beatles merchandise mail-order company and convention that I have worked for since 1994. A wonderful quartet from Toronto, Canada. The best way to describe them would be folk-rock, but they have composed songs in all different styles, in particular a cappella. Always great political and social commentators, their live shows make you laugh so much that you almost forget you're at a concert. They're on haitus now, but through their fans and music recommendations, I have found out about other great bands that are quite like them. Great local band from New Brunswick, who have become regular openers from They Might Be Giants. They have now started to attract a following, and never dissapoint. Their lead singer/keyboardist Tom Brislin toured with Meat Loaf on his Storytellers tour, and is currently on tour with Yes. 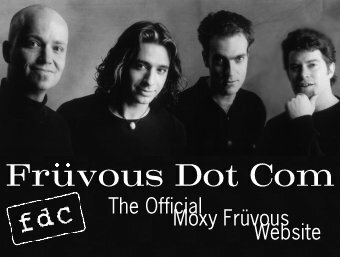 One of the new groups introduced to me by fans of Moxy Fruvous. Actually, they're not new, they've been around for 10 years. But what they do live is astounding, and all acoustic. Energy packed shows and an amazing vocalist in Julie Murphy Wells. The entire BJ collection remastered on CD and enhanced with videos! Billy Joel: Night of Two Thousand Years!!! I finally saw him in Philly, the last time he has done Captain Jack! I will never forget the experience. I also saw him at MSG for his New Year's 2000 gig, which I now own the official and complete bootleg recording of. He is the reason why I am a musician now. Look at this page for details! I used to have an Imagine Radio link on my web site, but they changed to Radio.Sonicnet.com and got rid of the artist-specific format, so I took them off. Low and behold, they brought the aforementioned format back, so I've brought them back to my page, and it has much improved, with even more obscure artists and more songs. Here is my own personal radio station. Also, here is my very large CD collection.